Order fulfillment is the last step to the process of the completion of an order. Most companies nowadays neither have the space to store their products, nor the time to ensure prompt delivery. More and more companies are outsourcing this process to organisations that specialise in performing these tasks on their behalf. When choosing for an order fulfillment warehouse, many points need to be considered before finalising whose services you are going to employ. The first point to be considered is to decide upon the location of the warehouse. 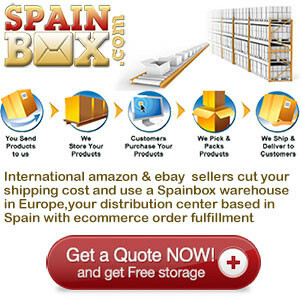 Generally, you will find an order fulfillment warehouse located at every corner of the country. The important thing to keep in mind is that the warehouse should be located nearer to your customer’s area and not to your business. This will help to reduce the travelling costs or shipping expenses. It is advisable to look for warehouses that are situated in the middle of the country that way they can easily access all parts of the country. The next point to be considered is the size of the warehouses you opt for. You should ensure that the warehouse can fulfill your purposes and has enough staff to complete your order delivery on time. As they are experts, the infrastructure, the transport system or the shipment facilities of the order fulfillment warehouse are likely to be better than yours. You as an organisation would want to deliver the products to your customers on time and would like to offer them the best possible services, so by outsourcing you will be able to do just that. Every order fulfillment warehouse has a turn around time. This is of vital importance if you want to ensure punctual delivery of your products and maintain the goodwill of your organisation. Good communication is another main aspect that you will need to consider. You are advised to choose a warehouse where communication is effective and quick. You may need to cancel orders or change the address of the delivery in which case good channels of communication are essential. Finally, the cost is fundamental, it is essential that the services provided fit your budget. How to choose the right kind of e-commerce Fulfilment Company?